Dollar Tree (DLTR) is expected to post its second-quarter 2018 results on Thursday before the market opens. Analysts expect the discount variety store chain’s top and bottom line for the quarter to exceed their estimates. Investors will be looking out for same-store sales growth, store performance and the management’s view on the company’s future. On average, analysts project Dollar Tree to post a profit of $1.15 per share for the second quarter compared to $0.99 in the last year. Sales are anticipated to increase by 4.7% to $5.53 billion. Most of the analysts are recommending a “strong buy” or “buy” rating with an average price target of $105.57. 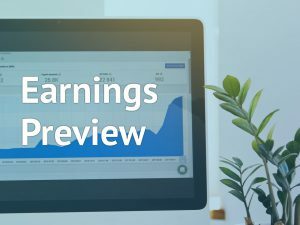 After two consecutive weak quarterly results, investors are looking forward to an earnings surprise with analysts expecting a 16.2% year-over-year growth. Growth estimates are likely to rise by 14% per annum in the current year and 13.2% in the next year. Traders could take a stand based on the company’s upcoming results on Thursday. During the recently completed first-quarter, higher interest expense, as well as an increase in costs and expenses hurt the bottom line by 20%. However, the top line rose by 5% helped by same-store sales growth in the Dollar Tree banner. New store opening and store performance drove same-store sales growth of 4% at Dollar Tree brand. For full-year 2018, the company had predicted earnings in the range of $4.80 to $5.10 per share and net sales in the range of $22.73 billion to $23.05 billion. Same-store sales are estimated to rise in the low single-digit range. Investors expect the company’s Q2 bottom line to be benefited by more store activities and sales. The company is expected to highlight about the business conditions as well as details on store opening and closing at the earnings call. Traders are predicting Dollar Tree to upgrade or narrow its full-year guidance. Zacks Equity Research believes that the retailer appears a compelling earnings-beat candidate. Shares of Dollar Tree ended Monday’s regular session down 0.42% at $93.07 on the Nasdaq. The stock had dropped about 13% so far this year, while it increased about 16% in the past one year.